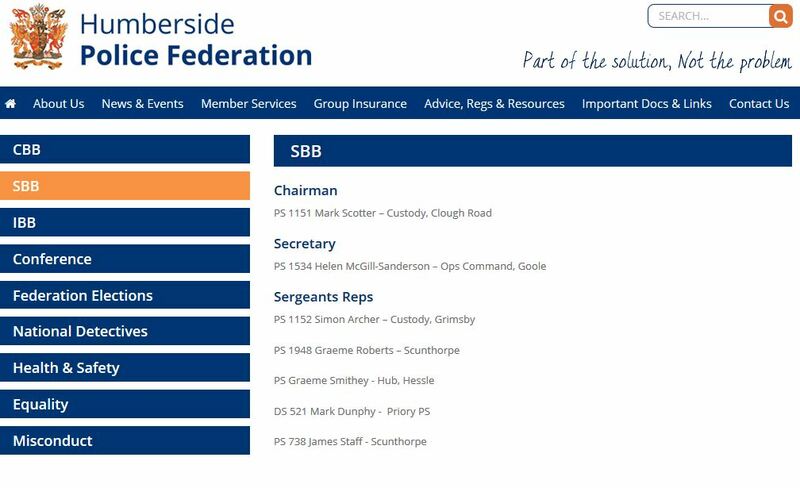 PS 1948 Graeme Roberts is a member of the Humberside Police Federation which is set up to investigate corruption within the Humberside Police Force. He is a serving officer in B Division at Scunthorpe Police Station. He is however about the lease suitable person to be on this board due to his own record of abusing Police time to conduct illicit affairs with married women and is a proven liar. Graeme Roberts must be removed from active service within the Humberside Police force and we will not rest until this goal is achieved! Despite reports being made against PS 1948 Graeme Roberts to Humberside Police over a period of several months, no disciplinary action was ever taken and he remains an active officer. The aim of his superior officers was to cover up what PS 1948 Graeme Roberts had done and to intimidate anyone attempting to make a formal complaint. Please feel free to contact the webmaster if you have been affected by PS 1948 Graeme Roberts actions and we will continue our efforts for him to be removed as a serving officer of Humberside Police.